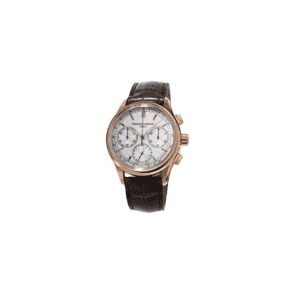 Gents classic gold-plated Frederique Constant quartz chronograph with silver roman dial. Brown leather strap. Model ref:292MC4P5.